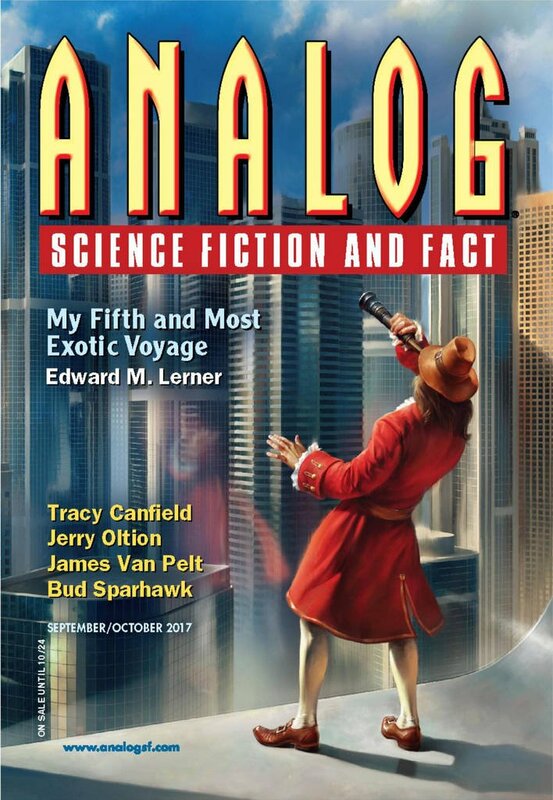 "Ghostmail," by Eric Del Carlo [bio] (edited by Trevor Quachri), appeared in Analog Science Fiction and Fact issue 09-10|17, published on August 17, 2017 by Penny Publications. Pro: At one level, this is the sad story of a man who only loved once and spends the rest of his life listening to one-way messages from his wife in another dimension. 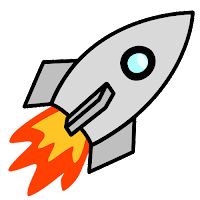 At another, it’s how he was clever enough to use that information to help his government win a war. Con: Kushal never quite comes to life for us. Is the man with the drug addiction really the same as the one who helped win the war? Is the one who was so worried about finances the same as the one who declined the reward? It’s a bit of a letdown that we never learn quite what it was that won the war. Finally, the ending feels rushed, and the very last clause “whom he had never stopped loving” is a show-don’t-tell violation that grates because the author didn’t need to say that: we already knew it.